Several times a year for a one-month period, international startups selected in the framework of Paris&Co’s PLP_Explore program get support in accelerating their business on the French market. The program offers everything startups need to set up a business in France: how to create a corporate structure, draw up sales contracts, manage intellectual property issues, media presence, recruitment and hiring, visas, etc. 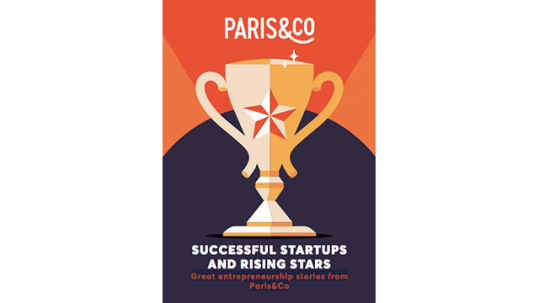 Entrepreneurs benefit from individual coaching by the Paris&Co international team, which makes its entire network available to startups so they can connect to key players in their field. They can attend a dozen or so collective workshops led by experts. At the end of the month, PLP_Explore concludes with the highlight of the program, a networking day called Demo Day. Demo Day is the grand finale of a marathon month for selected foreign startups participating in the PLP_Explore program. 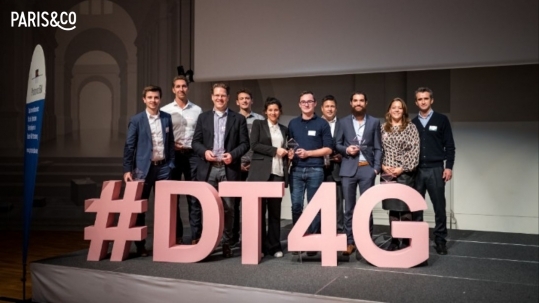 The evening is paced by a series of entrepreneurs who pitch their innovations to an audience of investors, corporates, institutional investors and other key players of business development in France. “It’s truly an exercise in style for startups, who are coached prior to the event in how to get across their key message and generate interest in just three minutes!”, explains Mélanie Nauleau, Head of international startups at Paris&Co. The evening continues with the Demo Space event, where startups have the opportunity to demonstrate their products to the public while enjoying a cocktail. Though some entrepreneurs return to their country of origin, others choose to stay in France. “For some startups, the adventure continues when they decide to stay in our international incubator, Comet, to set up their business in France. We adapt our program with each new graduating class and constantly hone our offer to meet the changing needs of entrepreneurs”, says Mélanie Nauleau. Her biggest source of pride? “Whenever a startup marvels at the rich Parisian ecosystem and decides to set up business in Paris, following the PLP_Explore program”. It has to be said that our startups are pampered: preparation prior to their arrival, onsite support, a “survival kit”, a guide to public transport in Paris, tips and recommendations from our team on the best cultural events, restaurants, bars and city excursions, plus a Welcome Party « where we introduce them to a sacred French tradition: l'apéro! … followed by visits in Paris with the team.” Recent visits included discovering Paris on UNU electric mopeds (one of the startups supported by PLP_Explore) or testing your collagen levels to determine skin aging, thanks to the founder of DFON Biomedical Technology! Quite an agenda! Next session: October 2017. Click HERE to apply! "The Paris Landing Pack has been incredibly helpful!"